Banking Where and When You Choose! 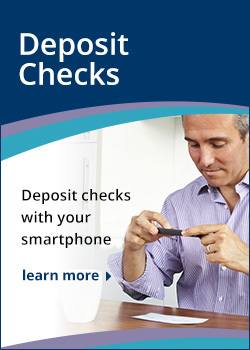 With our free* Online Banking, you can do your banking at your leisure from your computer, laptop, tablet, or smartphone. You can bank whenever it’s most convenient for you and you never have to worry about office hours; Online Banking is available whenever you are, day or night, seven days-a-week. Ready to Enroll in Online Banking? Get Instant Notification of Account Activity! Free* eAlerts can notify you about any transactions on your account. They can help protect you from account fraud, preserve your credit by reminding you when payments are due, and even warn you when your checking balance drops avoiding overdrafts and costly fees. You choose the alerts you want to receive and, whenever your selected activity occurs, you're sent an email. eAlerts Can Be Your Best Defense Against Account Fraud! *Our electronic banking services are free; however, standard wireless carrier text and data charges may apply: check with your wireless provider for details.